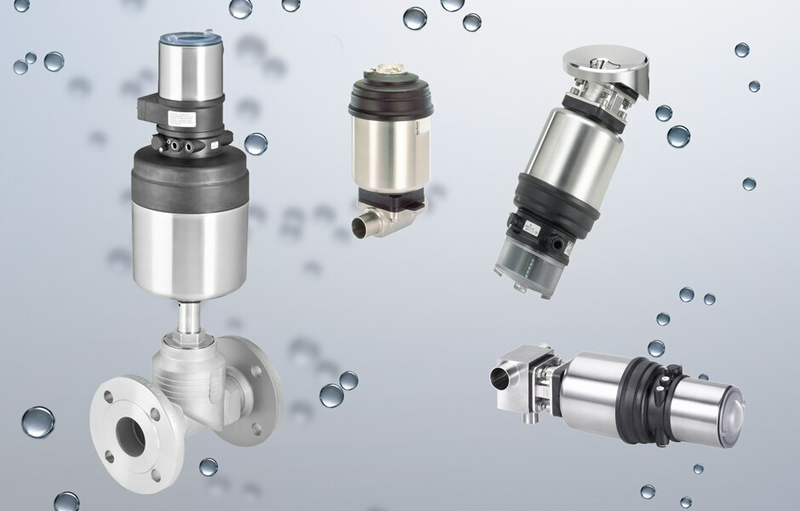 Bürkert has attained a customer-oriented market position with four segments. The clear focus of this approach enables the fluid technology specialist to selectively address customers and gives the customer a better overview of the extensive product portfolio. It also serves as the basis for customised solutions in fluid control. Bürkert’s presentation at this year’s Hannover Messe focuses on their concept of segmentation. The idea of segmentation is not new. It is commonly used in mid-to large-scale companies to selectively address potential and existing customers. Bürkert takes this general approach one step further. Instead of focusing on industries or products exclusively, the segments are grouped by customer application solutions for recurring key tasks regardless of the industry in which they arise. „We believe our concept is unique“, says Greg Sutcliffe, Team Coach Segment Management. “We came to realise that segmentation purely by industry or product has limited benefits to our customers. For this reason we turned everything upside down and organised our four segments into strategies for solving frequent technical tasks and problems related to our customers’ real applications”. A constantly growing knowledge base and the extensive Bürkert portfolio allow the development of modular and customised application solutions. The solutions developed for a particular industry can also serve as blueprints for new developments in others. For example, the same Micro dosing technology can be used for the dosing of reagents in automated analysis systems in medical instruments but can also be transferred to printer ink delivery in a food labelling application. Bürkert thinks like a user: in terms of applications. Sutcliffe sees special advantages on both sides: “Through our unique segmentation scheme we constantly learn from working with our customers. Using this experience we are able to find innovative solutions for completely new industries and areas”. At the Hannover Messe 2013, four animated columns and a large display combine to create an aura of Bürkert pride and confidence. 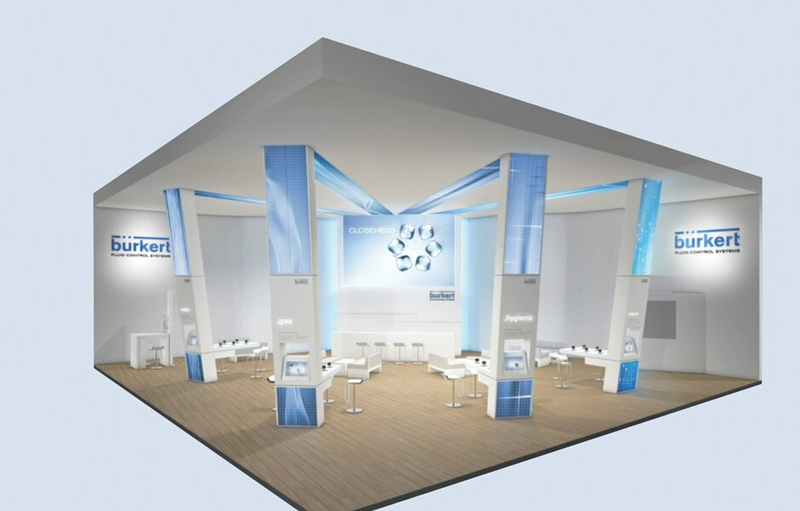 The segments will be visible to visitors from a distance, depicting the main theme of this year’s exhibit: the four segments Water, Gas, Hygienic and Micro, together with the Bürkert strapline “We make ideas flow.” With this concept, the segment strategy will be promoted, reinforced and now also realised in terms of architecture (Hall 9, Stand G16). In the Water segment, knowledge and experience of all things water are brought together, for example when it comes to reverse osmosis and ion exchange. The result: solutions that exactly meet customer requirements for special application environments, from boiler water to cooling and drinking water and even ultra pure water. The Gas segment deals with the control and regulation of gases. On the basis of extensive experience with closed control loops, the specialists at Bürkert develop reproducible and precise gas control solutions. With process optimisation being a key requirement, Bürkert provides solutions for applications as varied as burner and plasma regulation, medical technology or protective and reactive gas atmospheres. In the Hygienic segment Bürkert develops applications with stringent hygiene requirements. Customers of this segment include pharmaceutical and cosmetics firms, manufacturers of foods and beverages, as well as animal feed manufacturers. Important aspects include easy-to-clean and sterilised designs to facilitate uncomplicated validation and operation. The Micro segment bundles expertise in the handling of fluids in very small environments. The solutions offered are used in clinical diagnosis, DNA synthesis, medical technology, high throughput lab automation, industrial inkjet printing and analysis instruments. Dosing flow rates extends from a fraction of a microlitre to several millilitres per minute.